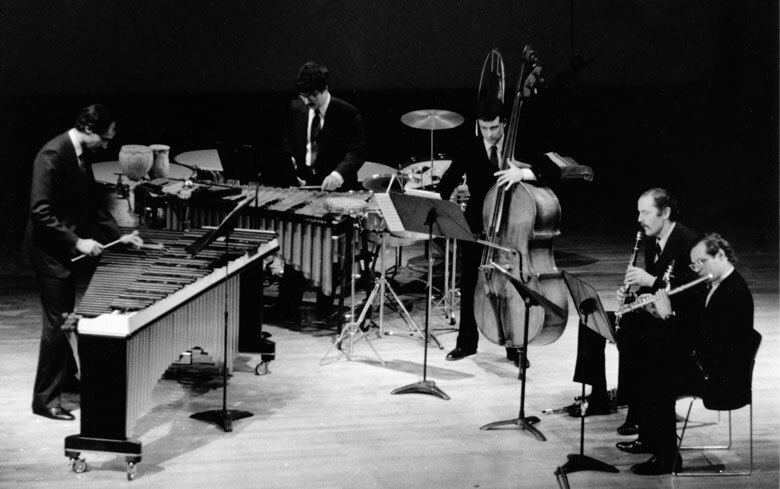 By 1983, the Music From Japan concerts at Carnegie featuring Japanese compositions performed by the American Symphony Orchestra had become a yearly feature of New York City concert life, or at least so Allen Hughes from the New York Times reported after attending the 1983 edition of this series. That year, the orchestra was conducted by Gunther Schuller and the composers who lent their talents included Roh Ogura, Somei Satoh, Masahiro Yamauchi, Masanori Fujita, and Michio Mamiya. December of 1983 brought a new collaboration between Music From Japan and the Kronos Quartet. Also featured was the New York Quintet. The program included works by Terry Riley, Teruyuki Noda, Masaharu Kikuchi, Michio Mamiya, John Cage, Donald Sosin, and Yoshio Hachimura. A highlight was the world premiere of a work by John Cage, Ryoanji, which featured James Ostryniec on oboe and Michael Pugliese on percussion.